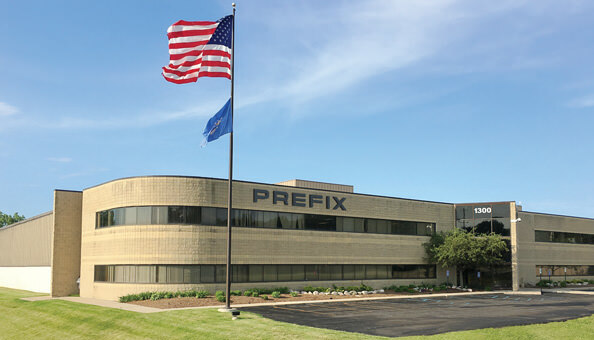 Celebrating 40 years of business in 2019, Michigan-based Prefix Corporation began in 1979 developing innovative design and engineering solutions for the automotive industry. Today the company has dramatically expanded their capabilities, working in the aviation, automotive, amusement, motion picture, exhibit, and other industries. Prefix takes great pride in being one of America’s top resources for bringing new ideas and innovations to reality. 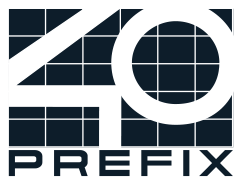 In celebration of our 40th Anniversary, we are taking time to highlight some of the amazing people who make Prefix what it is. This week, we introduce you to Mr. Ta’Darius Thomas. Ta’Darius has been with Prefix since 2017 and works at our world-class paint facility in Auburn Hills working on the Ford GT program. We have a talented team in Auburn Hills, and they do incredible work every day! For fun… Ta’Darius likes to drive his 1972 Ford Maverick GT. When it comes to food, he prefers a Porterhouse steak… medium rare! And… what many of his teammates here at Prefix don’t know, is… that Ta’Darius is a mixed martial arts competitor. He first learned about wrestling during high school, having to travel out of Detroit to a suburb, because his school didn’t offer the sport. Wrestling led him to the world of Mixed Martial Arts and to Montreal, where he trained and eventually had his first fight at the age of 17. Ta’Darius is well versed in many martial arts including Brazilian Jiu-jitsu, boxing, and submission grappling, but… his favorite is the African-Brazilian martial art, called Capoeira. Join us in wishing him all the best in his next battle, this weekend, (Saturday the 13th) at SUPREMACY II at the YACK ARENA in Wyandotte, Michigan. GO TD!! A beautiful sunrise this morning, somewhere near Bliss Idaho. In celebration of our 40th Anniversary, we are highlighting people within the organization who make the company what it is. This week, we introduce you to Mr. Ryan Kuehm. Ryan has been on the Prefix team since 2011 and works in our talented Lighting department. Born in Cincinnati, Ryan’s favorite food is Cincy’s famous Skyline Chili. His favorite place to travel here in Michigan is South Haven, hanging out on the beach, but… his bucket list travel goal is a bit “out there”. Ryan would love to travel in space! Most of his co-workers don’t know that Ryan used to travel the country, touring with a band as the bass player. If he could share lunch with anyone famous, he picks Tom DeLonge of the band “Blink 182”. Ryan’s favorite superhero? Batman of course! With some of our upcoming aerospace projects, that space travel may just be easier than he thinks! Buckle up Ryan!